One thing I love about sewing is that it means I have an almost never ending need of pretty little boxes, baskets and jars in which to store my buttons and ribbons and cotton, the result being that my sewing space is arguably the prettiest corner of my apartment. I love using jars and baskets to store all my sewing bits in, because not only is it the most practical option (keeping everything close to hand, minimizing any potential frustration when in a fit of sewing frenzy) but sewing notions are usually so colourful and make for very pretty ornaments when put on display! 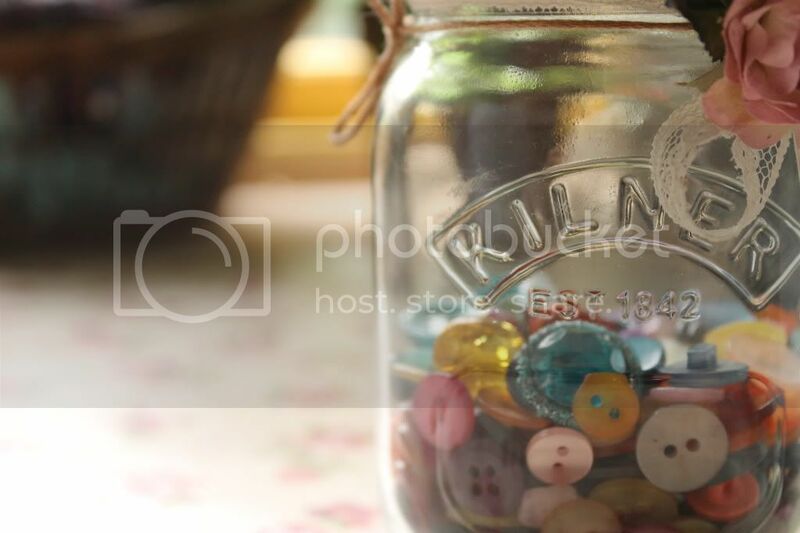 Step 1: Un-screw your kilner jar lid and use the inner plate to trace a circle onto the wrong side of your fabric. Step 3: Using a ruler add 1 inch all the way around your original circle (this will allow us to wrap the fabric over the stuffing and kilner jar lid). Cut out circle. Step 3:Trace a circle onto your felt, but this time don't add the one inch. Cut out. Step 4: Using your sewing machine (or needle and thread if you don't have one), stitch two rows of gathering stitches aproximately 1/2cm and 1cm in from the outer edge of your circle using a straight stitch on the longest stitch setting. If you're hand stitching, try to make them between 3 and 5mm long. We use two rows when gathhering fabric so that the it will gather more evenly and be less likely to pucker. Step 6: Stuff your gathered fabric with wadding or cotton wool, you may need to check it against the lid to get the right fullness. Step 7: position the plate onto the wadding, wrapping the gathered edges of the fabric around the circumference. Step 8: Apply some strong all-purpose craft glue to the inner groove on the jar lid (this will hold our cushion in place). Now for the best bit, have fun with your embellishments! oh my god this is simply lovely! it'd make a perfect gift! Thanks :) It would take and hour max, so worth the effort! Great tutorial - made one for a stitcher I know. Blooged about it here and credited your tutorial. Hi! 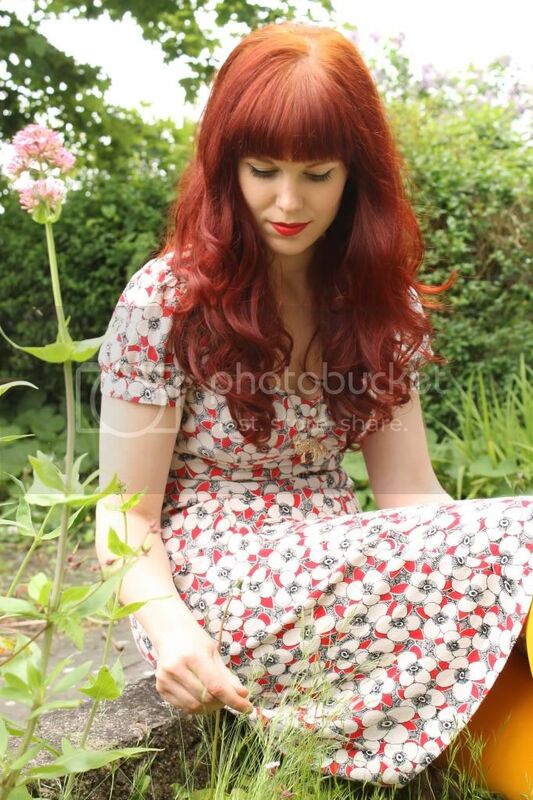 My name's Khrystyna, nutritionist by trade, designer/maker of Ruby Robin Boutique by day, dress-maker by night and devoted cat minion the rest of the time. A wish and a whisper.. Unless otherwise stated, the images and articles presented on this site are the property of copyright holder Khrystyna Marriott 2012. Please do not republish, print or distribute these images or articles without receiving permission from the author first.